will you rebuild society or tear it down? Dystopia Rising is a fully immersive, weekend long, Live Action Role Playing (LARP) event set in a post-apocalyptic, Zombie infested world. Generations after the world fell the mutated Strains of Humanity must rise to combat the threats to survival in the wastes--both living and undead. Welcome to Dystopia Rising: Washington. The world has ended, and your choices will shape what's next to come. Not sure what Dystopia Rising: Washington is all about? Check out the link for the details. 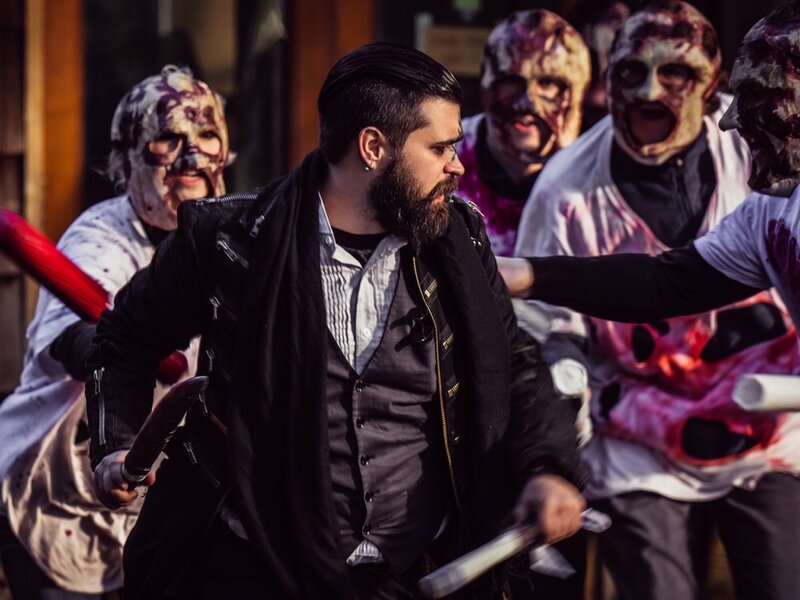 Dystopia Rising: Washington holds events once per month. Take a look at our event calendar and plan your next visit.